The clock is ticking as this year’s All Star Game in Florence is almost here. What started as a dream has now become a reality thanks to co-founder Tommaso Paoletti. I had the chance to talk to Tommaso as we discussed what to expect for this year. Last year’s pilot year brought much success that it’s returning this year bigger and better. An extra day is added to this year’s event, which will kickoff Thursday, July 13th, and run till Sunday, July 16th. Unlike last years’ event, it has been moved to the weekend to give teams who are participating in the 3v3 tournament from outside of Florence time to travel. 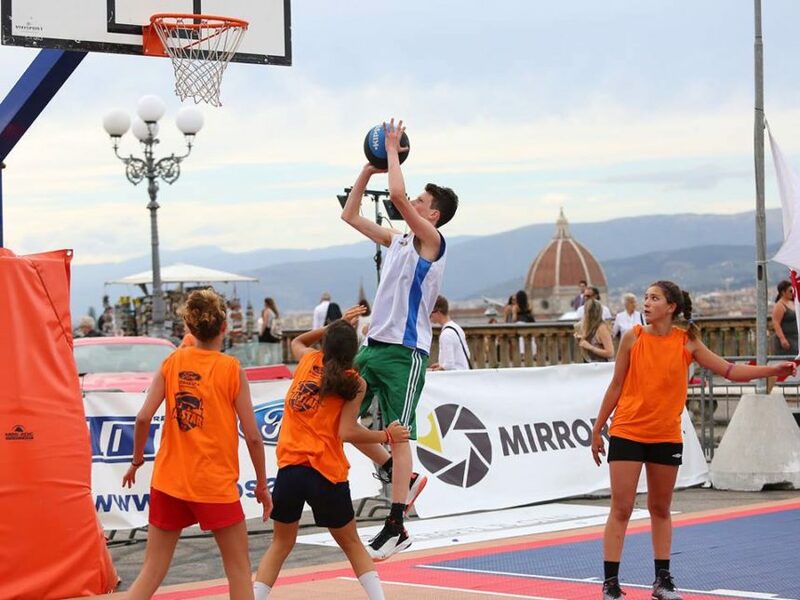 This year teams from Rome to Bologna and all over the Tuscany region will be participating in the 3v3 games in men, women, and youth sections. In order to coordinate all of these sections over 200 volunteers are participating and needed to make this possible. With donations from Under Armor, all volunteers will receive a free hat and tee shirt. Under Armor is just one of many sponsors of the All Star Game. One day Tommaso hopes he will acquire just one organization to sponsor the whole tournament and to create a unified event. Even though this year’s game is still underway, Tommaso already has plans for next year. He plans on making the event a week long, and adding volleyball as a sport, making it 4 days of basketball and 3 days of volleyball. As for long term, Tommaso hopes to one day have a village with a court inside. Some things won’t change as the tournament will always stay in Florence, at its beautiful location on Piazzale Michelangelo overlooking the city. While the view is breathtaking, it’s also a reminder of the significance of the game and the power and opportunity it has to bring the city of Florence together, something in a way only sports can do.